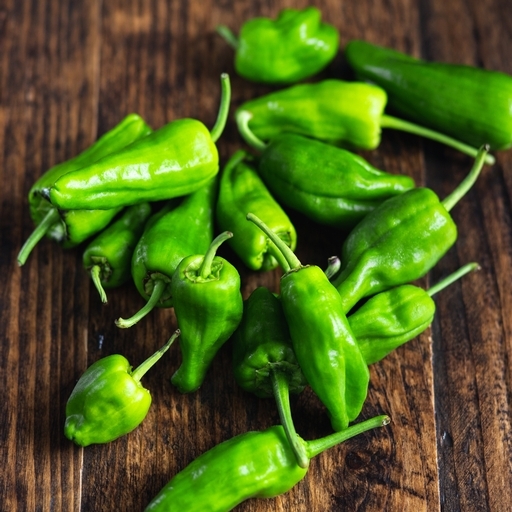 Play Russian roulette with padron peppers grown by Guy’s team on our farm in France. Most are mild, some have moderate heat – and the occasional lurker has a really wild kick. Grab a hot pan, a splash of oil and fry the peppers whole until deeply blistered. Sprinkle with sea salt for a fine snack. Keep a cool beer close at hand to soothe the sting of the wickedly hot ones. Delivered fresh from the farm so wash before eating.